Blue Belle Plucking Up Courage to Beat Bird Phobia! 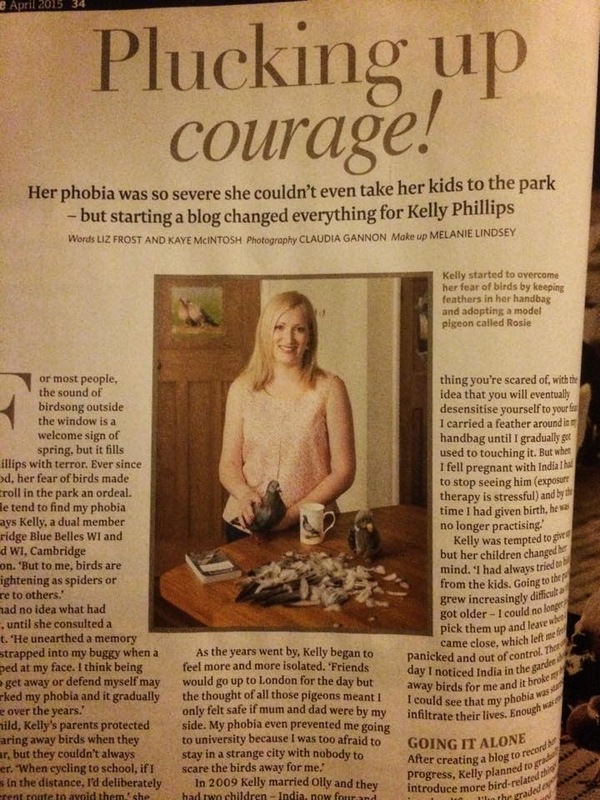 We are absolutely OVERJOYED with pride that this month’s WI Life magazine features the story of our fabulous member, Kelly, and her ongoing battle with bird phobia. After courageously setting up a blog, Cam Bird Bites, Kelly was approached by a TV Production to appear in Sky 1’s Fright Club! After weeks of grueling exposure therapy, Kelly came out on top – and we can’t wait to see her premiere on the small screen! Watch your local listings for full updates – and we will of course give you the scoop once we’ve got word, too! Kelly – we applaud you in your strength and efforts, too – keep up the fabulous work! Previous Post Menstruation Crusades & Feminism in Fashion – Women’s Day, Our Way!